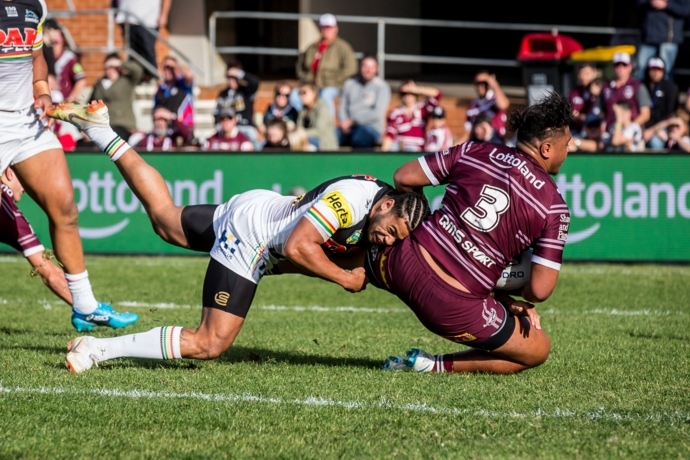 Penrith scored four tries in seven minutes in a stunning fightback to beat Manly 28-24 at Brookvale Oval this afternoon. The Panthers had fallen 24-6 behind with just 12 minutes to go, but somehow came back to win. 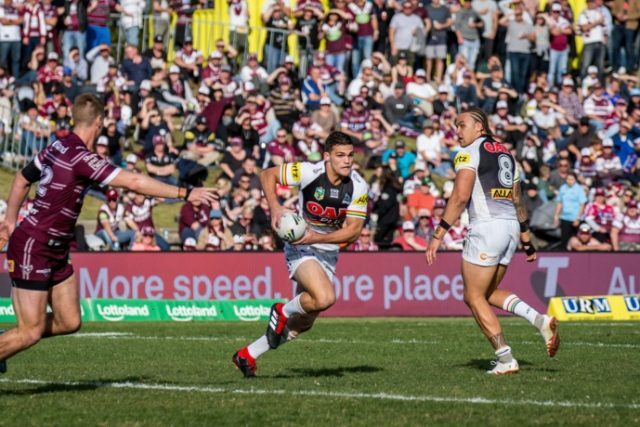 Josh Mansour started the miracle comeback in the 69th minute before Isaah Yeo, Waqa Blake and then Nathan Cleary crossed to put Penrith in front. Penrith were down 8-6 at half-time. Panthers coach Anthony Griffin said he never gave up on his side. “We dug ourselves a hole but to the players’ credit they obviously lifted tremendously there at the end and dug themselves out of it,” he said. 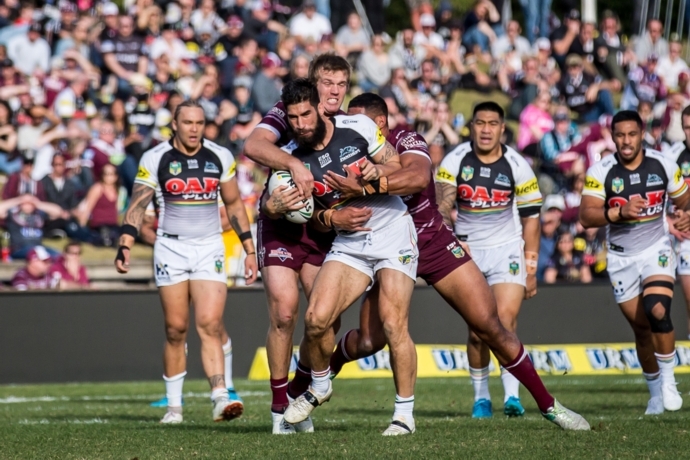 Manly coach Trent Barrett lamented that rugby league was a “cruel game”. Griffin confirmed that damaging prop Reagan Campbell-Gillard was likely to be available for next week’s clash against Canberra.